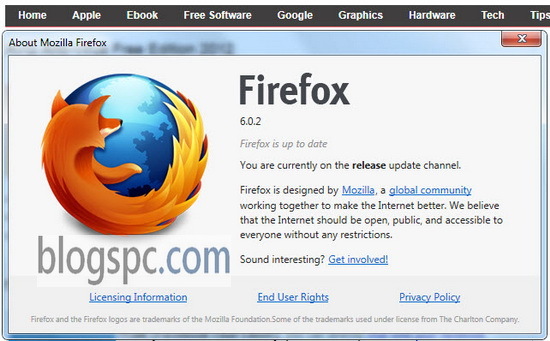 Mozilla just released their latest version, Firefox 6.0.2 . The company has removed trust exceptions for certificates issued by Staat der Nederlanden and resolved an issue with gov.uk websites in this release. So it is strongly recommend that all users upgrade their Firefox web browser. With the latest Firefox, make your online experience even better. Firefox 6 features optimized support for HTML5 and CSS animations, new privacy and security options and above all, an enhanced browsing speed and management of system resources.